Mountain Rock ranges from 3/8″-3/4″ in size and has tan and grey tones. This product is partially river-worn, partially crushed and has many uses. 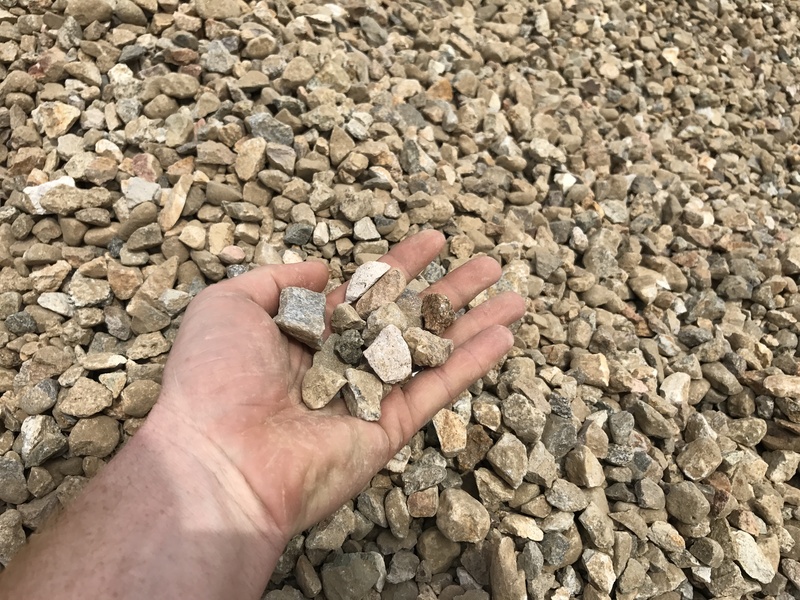 This size gravel can be used in walkways, driveways, and because of the color, is quite decorative in flowerbeds.